Many times in my life I would attend trainings and feel so energized by what I learned couldn’t wait to apply the new things I learned. Very eager to make the most of the new things that I learned to the point that I spent quite some time plotting how to use it and how I could pass what I learn along to the folks on my team. All goes well for the first week, gaining momentum on the second week, by the third week it looks like I’ll be on track and keep this new experience going for a while. Then it gets really busy at work, challenges come up, wanting to spend more time with my family—before you know it, I’m back in my old ways. Falling off the saddle due to work demand, pressure and other people’s demand of my time. It happens gradually to the point that I don’t even notice that it is happening. The transformation is unwound and you’re back to where you started. Sometime you don’t even realize it until a lot of time goes by. Last year, in my quest for continuous improvement, I discover John Maxwell Certification. 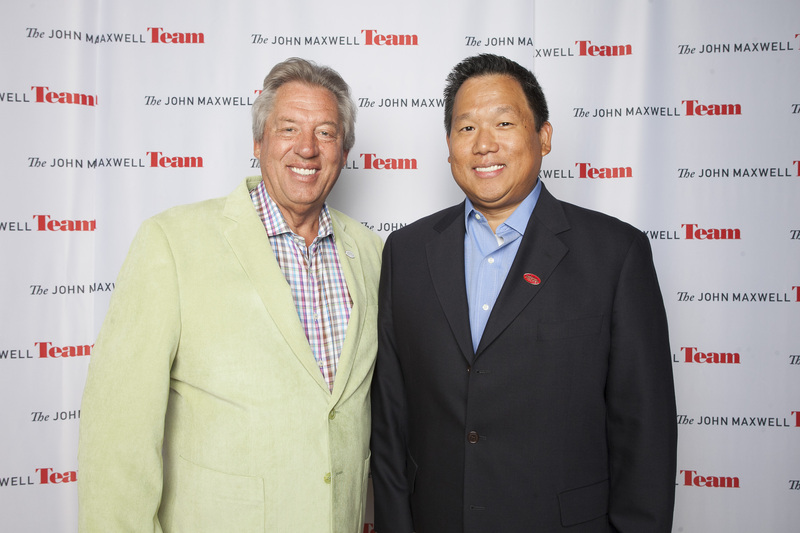 I’ve been a fan of John Maxwell for over 12 years. I’ve read numerous of his books and I thought that this would be the ideal next step. I inquired about the program only to realize that the cost was a bit out of my reach. While I was really eager to move onto the next step, my financial situation did not allow me to incur the cost needed to be part of it. I had to make a conscious decision to save and try again next time. By April of 2013, I was ready and joined on April 12. It is a very important date for me, as I took the first step to improve myself further than I expected on the leadership journey to the next level. Joining JMT meant I will be doing a lot more teaching, which I found to be my passion. I’ve since done numerous mastermind groups and enjoyed them tremendously. The August certification event is one that I will remember for a long time. I had the opportunity to meet my favorite author John Maxwell and the other instructors. It was a great weekend to have learned from Paul Martinelli, Scott Fay, Melissa West, Ed DeCosta, Christian Simpson, Roddy Galbriath, John Maxwell, Nick Vujicic and Les Brown. We ended the last day with John Maxwell, Nick Vujicic and Les Brown in our line up. I learned a lot from the three-day live event and met a couple of great friends along the way. Over the next six weeks, I stayed on course and did my masterminds and participated in our accountability partners calls. But then things became complicated as I tried to balance work, life and my passion for teaching. Before I knew it I fell back to my old self because my JOB took all my time. Once I recognized that I was slipping, I started to pick myself up. While it is still challenging, I’m refusing to fall back in my old ways. I’m not saying that the Will prior to JMT Live was bad (I have a good career), but rather with my JMT experience, I came away feeling great about what I learned, the people I met and friends made at JMT. I’m getting back on the saddle and riding this horse until I achieve my goal. As I reflect on my situation. I acknowledge that my journey is not a straight line. It has its ups and downs and many sharp curves in between. It could be filled with joy or laughter or negative emotions, but I’ll remember that the journey is mine. Mine to enjoy – Mine to decide which way to go at every junction – Mine to live the best way I want. I’ll take all the downs and match it with the good times, and I’ll have faith and keep on moving forward. I hope to launch another 21 Irrefutable Mastermind as well as hoping I can gain some momentum with my Sometimes You Win Sometimes You Learn Mastermind. For now, I’ll focus my attention on my longer term goal and keep on taking one step at a time toward achieving my goal. Next Does position really matter? Really? Will, like you I’m passionate about helping people grow. Would you be willing to share with me more details about the program? Im interested in the program for the resources available to learn more about leadership and coaching. My hesitation is coming from not wanting to make a business out of it at the moment. Hence, I don’t want to invest the money to find out I’m not going to get the value out of it. Thanks Juan for connecting with me. Check your mailbox for my response. Great article Will, at the moment I am looking at becoming a certified member of JMT. I am currently in the USAF and I love helping people. I’m glad you like my post. If you’re interested with JMT, let me know and I can arrange a call to get you up to speed.